Defence Minister Harjit Sajjan’s Northern tour didn’t come with any new spending announcements. Instead he talked up the importance of projects nearing completion, that he says will bolster Canada’s claim to Arctic sovereignty. Defence Minister Harjit Sajjan's Northern tour didn't come with any new spending announcements. Instead he talked up the importance of projects nearing completion that he says will bolster Canada's claim to Arctic sovereignty. Sajjan spent a day at CFS Alert and visited the Nanisivik refuelling station, near Arctic Bay, Nunavut, last week. Those visits followed a stop in Yellowknife to deliver new rifles to the Canadian Rangers. At Alert, Canada's northernmost military base, he spoke about $10 million of ongoing infrastructure and equipment upgrades at the facility. Those include new firefighting systems, upgrades to fuel tanks and power generators. "Arctic sovereignty is much more than national defence," he said. "These are Canadians, these are communities [of people] who actually live up in the North. Sovereignty is far more real because it's making sure communities have support so they can live. "But let's also be very clear we want to ensure we have the national defence resources that we can equip the Canadian Armed Forces so we can protect our sovereignty." "We need to do the proper research in the North to make sure we're making the right decisions as a government," Sajjan said. "From a national defence perspective, we're going to be investing in research and development about what type of equipment is needed, what infrastructure's in place to guarantee Canada's sovereignty." These upgrades to Canada's presence in the Arctic come as global interest focuses on the region. Russia, the United States, Denmark and Norway are all trying to assert their jurisdiction over parts of the Arctic as shrinking polar ice creates new opportunities for exploration. China also has expressed interest in expanding its presence in the Arctic, issuing its "Polar Silk Road" policy last year. That policy encourages building Arctic infrastructure and Chinese economic activity in the region. "I would describe the Arctic as the most dynamic area of geopolitics in the last five years," said Rockford Weitz, a professor at the Fletcher School at Tufts University in Massachusetts. "The dominant current is one of co-operation, but there is an undercurrent of competition," he said. "That is driven by Vladimir Putin's investment in military infrastructure, largely for domestic reasons — to project a powerful Russian naval and military presence on Russia's longest coastline." Though NATO countries should monitor these developments, there's still little incentive for countries to become aggressive about their claims in the near future, Weitz explained. "The Arctic is still the Arctic," he said. "It is a warmer Arctic, but it's still, generally speaking, a cold part of the planet and a harsh environment. When things go wrong, search and rescue efforts happen, and they have to be collaborative. "It's such a huge geography, the weather is so harsh, the population is so sparse, that co-operation is the dominant current in international relations in the High North," Weitz said. So far, that's happened, he said. For example, the Arctic is one of the only areas where the Russian and United States militaries continue to communicate on a regular basis. Rob Huebert, a professor at the University of Calgary who studies Canada's Arctic defence policy, says the Liberal government is meeting this situation with a playbook similar to the one used by the former Conservative government under Stephen Harper. "When it came to the Arctic defence issues, it was fascinating to see the manner in which almost every single one of the [Harper-era] Arctic initiatives, offshore vessels, the modernization of NORAD, all of these were not only continued, but given enthusiastic support," he said. "To a very large degree, at least in terms of the policy, we've seen a widespread acceptance of a traditional security policy when it comes to the Arctic." During Sajjan's trip to Alert, he didn't talk about addressing Russia specifically, preferring to speak in general about how Canada is monitoring the Arctic. The strength of Canada's Arctic defence policy lies in its commitment to international diplomacy, Sajjan said. "We have ships from other nations that do follow the appropriate procedure. We will always work with like-minded partners for the research and development [of the Arctic]," Sajjan said. "But, Canada's sovereignty is something we take very seriously." Those soothing words are just rhetoric, Huebert says. The Arctic isn't exempt from Russian actions and Canada is preparing for any potential conflict with Russia in the Arctic whether the government talks about it or not, he says. "What all governments want to talk about in the Arctic and everything is peace and kumbaya. That's the rhetoric," he said. "But if you look at what we're actually preparing to do, you can see the focus is preparing for a much more darker future." At this point, Canada doesn't have everything it needs to properly patrol the Arctic, Huebert said, but it is improving. "We have the proper plans in position, but do we have them built? No. In Canada we know how difficult it is once we've decided on something, to actually build it," he said. 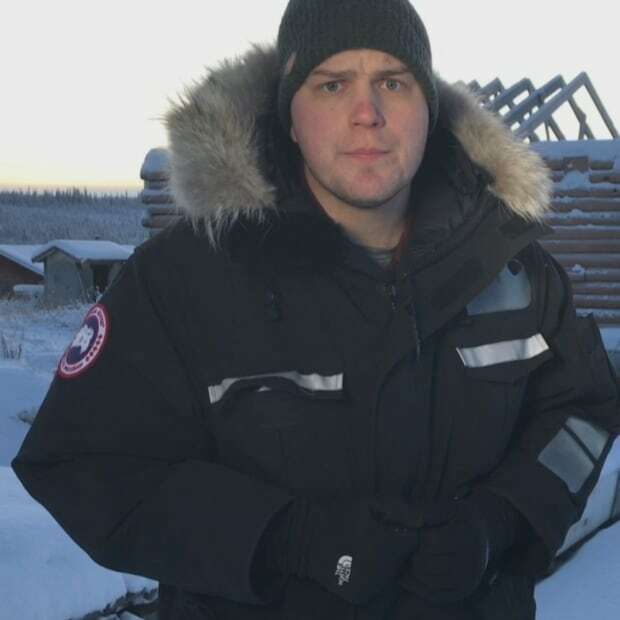 Alex Brockman is a CBC News reporter based in Yellowknife. He's worked in the North since 2016, covering territorial politics, Canada's military and the Sahtu region of the N.W.T. Follow him on twitter @BrockmanCBC. Have a story idea? Email him at alex.brockman@cbc.ca. What does China's new Arctic policy mean for Canada?